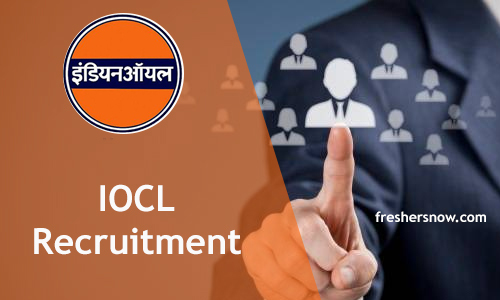 Indian Oil Corporation Limited Released Official IOCL Recruitment 2019 Notification. This Notification is for 420 Trade Apprentice Positions. Interested Candidates, who completed their 12th with ITI in the relevant trade, can check the remaining details. And then proceed to apply, for it, before the closing date. Now, by 10th February 2019, all the eligible, candidates, have to submit their application form. And remember that the officials are expecting the applications in the Online Mode. If you are up to checking more other Central Government Jobs, you can always find them on our site Freshersnow.com. Indian Oil Corporation Limited Officials are inviting the applications for the Trade Apprentice Positions. All the interested candidates who are looking for the central government Jobs can apply for this IOCL Trade Apprentice Recruitment 2019. Here in this section, we are providing a table. And that table is going to cover all the data, that an individual need to know, before proceeding to submit the IOCL Trade Apprentice Online Application Form 2019. Check that out. 18 years to 24 years. And then if you are eligible, fill the application form, by clicking on Appy online. Then finally, submit the filled application form, before the closing date. Hope the total data, included here in this post, related to the IOCL Recruitment 2019, is helpful. Apply Online For 68 Jr Engineering Assistant IV Posts after checking the total information presented in the IOCL Recruitment 2019 Notification. As per the information in the Notification, the officials of Indian Oil Corporation Limited are expecting the applications in the Online Format. So, after checking the complete requirements clearly, please proceed to apply for the Latest IOCL Openings 2019 by submitting the application form. Starting from 7th January 2019, applications can be submitted. 27th January 2019 is the closing date. And by that date, all applications must be submitted. Remember the officials are looking for the candidates who completed their Diploma in Engineering from any Recognized institute or University. Indian Oil Corporation Limited Officials are searching for the candidates who can work as the Jr Engineering Assistant IV. Now, the hired candidates will work across the country. Apparently, the officials of the IOCL are planning to pay Rs. 32,000/- Per Month as the Salary for the selected candidates. Well, here in this section, we are providing a table. And that table got information such as the Organization Name, Post Names, Number of positions available, Starting Date, Closing Date, Job Location, Application Mode, Selection Process. Check them all. And then if you are interested and eligible, to apply then proceed to submit the application form. Now, at the time of applying for the IOCL Recruitment 2019, contenders should have completed their Diploma in Engineering from any Recognized Institute or University in India. 18 years to 26 years. Written Test, Skill/ Proficiency/ Physical Test (SPPT) are the selection rounds that an individual has to clear to get placed. General and OBC Candidates should pay Rs.150/-. There you will find the advertisement. Recheck and submit the application form and then pay the application fee. Freshersnow.com is a place where you will find the details like IOCL Recruitment 2019. So, check us out regularly. Indian Oil Corporation Limited is inviting eligible people for Accountant, Technician, Trade Vacancies through the IOCL Recruitment 2018 Notification. Interested people, can check the complete details. And then go on to apply for it. Starting from 14th November 2018, the Unemployed people in India can apply for this IOCL Apprentice Openings 2018. Well, the closing date to submit the application form for the IOCL Apprentice Recruitment 2018 in a prescribed manner is 27th November 2018. Though there is still much time, we insist all the interested people in applying advanced. So, that they can avoid the Last minute hurry. After the IOCL Recruitment 2018 Notification is released this is a great opportunity for the people who are searching for the Government Jobs. Well, the IOCL is one heck of popular Central Government Organization. So, please utilize this chance getting placed with a good salary. Well, the officials of the IOCL asked the candidates, to submit the application forms online mode. The complete procedure for that is provided in this post. Now, check the complete details and then apply. Having all the requirements at the time of applying is very important. Engineering, Diploma, ITI in repsective trade. According to the Company Norms. Visit the official site of IOCL at www.iocl.com. From there navigate to the Careers section. And then there look for the Apprentice Notification. And read all the details carefully. After that, if you are eligible, start filling the application form. We do hope that all the details about the IOCL Recruitment 2018 Notification are spared in this post. Check more such detailed information by following our site Freshers Now regularly. The Indian Oil Corporation is hiring candidates through IOCL Recruitment 2018 notification for the multiple positions in the organization. Contenders who are eagerly looking for the Indian Oil Corporation Jobs can now stop searching and apply for the vacancies which we have listed below. Per year hundreds of vacancies are announced by the officials. So the aspirants whose dream is to get the job in the Central Government Sector can apply for the IOCL Vacancies 2018. In the following section of this article, we are providing the complete details about the recruitment like IOCL Salary Details, IOCL Educational Qualification, IOCL 2018 Recruitment Application Form Fee etc. Feel free to check and submit the application forms as per the given dates. Finally, this is the time to apply for the IOCL Careers. According to the latest news, the authorities of the IOCL are seeking for the candidates who have qualified in GATE 2018 exam. In this article, the candidates can find out the latest job openings in the IOCL. Soon the authorities of the Indian Oil Corporation reveal the IOCL Recruitment 2018. The main thing the aspirants have to know is the IOCL recruitment through Gate and without Gate. So the candidates who had applied for the Gate have to prepare well by to get the job easily. An official IOCL Recruitment 2018 notification is released by the officials on its official website. After knowing about the notification the aspirants are eager to know the eligibility criteria. For the sake of the candidates, we are providing the complete information for them on this page. The educational qualification is the candidates who had completed their 3 years Diploma in Electronics & Telecommunication Engineering/ Electronics & Radio Communication Engineering/ Instrumentation & Control Engineering/ Mechanical Engineering/ Electrical Engineering/ Electronics & Communication Engineering/ Electronics Engineering from the recognized University or Institute located in India. Candidates who are applying through IOCL Recruitment through GATE 2018 have to apply for the should hold the full-time course BE, B.Tech or AICTE/UGC recognized university/institution can apply. The next thing the aspirants have to check while applying for the IOCL Recruitment 2018 is Age limit. Contenders should have the correct age limit while applying for the Indian Oil Corporation Jobs. Basically, the candidate’s minimum age should be 18 years and the maximum age may vary from post to post. According to the many notifications, the candidates the upper age limit is 26 years. This is the excellent opportunity for the aspirants who are looking forward to the Government jobs. The candidates have to face the various selection rounds as the process of the recruitment. Written Test and the Personal Interview are the various rounds of the selection process. On our website, we are providing the IOCL Syllabus 2018 and IOCL Previous Year Question Papers. By using this stuff the applicant can prepare well for the Written Exam. Contenders should have done 4 years full course of BE, B.Tech (Degree) or equivalent form the AICTE/UGC recognized university. Or the 3 years course of Electronics & Telecommunication Engineering/ Electronics & Radio Communication Engineering/ Instrumentation & Control Engineering/ Mechanical Engineering/ Electrical Engineering/ Electronics & Communication Engineering/ Electronics Engineering can go for the application process. The candidates have to check the age details whether they are eligible for the various job openings in the organization. As per the previous year recruitments, the candidate’s minimum age limit should be 18 years and the Upper Age limit should be 26 years. But sometimes the there is a chance to change the upper age limit. Applicants who have submitted the application form with the given dates have to face the recruitment process to get the job. The candidates have to attend the Written Test and Personal Interview. First, every aspirant should give the written test the qualified aspirants will be called for the Interview Process later. There is a chance of Skill Test apart from these rounds. So be ready to face any type of rounds. The salary for the aspirant will be decided by the officials of the organization. According to the performance in the selection rounds, the pay scale will be finalized. For the salary and the grade pay details the aspirants can refer the official notification which gives a clear idea. The Fee will be different for each category candidates. To avoid all the confusions the applicants can go through the official IOCL Recruitment 2018 without any hesitation. In this section, we are providing some steps for the candidates to help them in the registration process. Move to the official website of Indian Oil Corporation Limited i.e; www.iocl.com. Find out the “Whats New” and refer the complete latest notifications. Choose the particular suitable for your eligibility and apply for it. Click on the certain position here a page displays on the screen. Now enter all the required details related to you. Cross the complete particulars once. At last, take a print or save it for future use. For more latest govt job updates refer our website www.freshersnow.com.